Storm can happen anytime. No matter how prepared you are, your property might still endure the damages of a storm. Our storm damage service also includes clean up and recovery options after an unexpected tornado. At Your Way Tree Service, we understand that once the Mother Nature unleashes its powerful weather, it always leaves substantial damage to your home and/or business. It doesn’t matter whether it is the result of strong wind, water or downed trees. Our team can provide you with immediate assistance to secure your property from further damage. Our storm damage services will include building shrink wrap, perimeter fencing and emergency security personnel, among others. 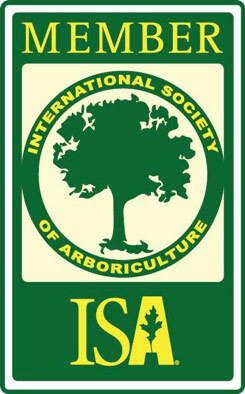 In the Greater Los Angeles area, Your Way Tree service has been the number one restoration company for many years now. With our experienced and highly-trained personnel, we have successfully rebuilt thousands of households that have been damaged by storm. Our team has specialized skills sets that are essential during this situation. As soon as you call us up, our team will immediately clean up and remove those fallen branches, including those downed trees. Our staff is available for emergency service, 24 hours a day, 7 days a week. Our trucks can be at your damaged property in less than two hours, depending on how far you are from our location. After their arrival, they’ll immediately begin cleaning the property to limit the damage to your property as the result of fallen branches and downed trees from tornadoes, thunder storms, winter ice and the like. We’ll also dispatch our certified tree risk assessors to evaluate the remaining trees in your property. This is to determine whether or not their structure is still strong to avoid from falling. It’ll also prevent injuring people or cause additional damage to your property. If the remaining trees will turn out to be at high risk of potentially causing further damage to your land, we have our crew on standby to remove them or apply bracing and cabling to support their branches. In several community-wide disasters, Your Way Tree Service has been there to rally manpower and provide equipment so we can easily respond to any type of storm. Our resources can be easily mobilized to provide immediate help. Our team has successfully provided storm damage services in the Greater Los Angeles area for more than two decades.